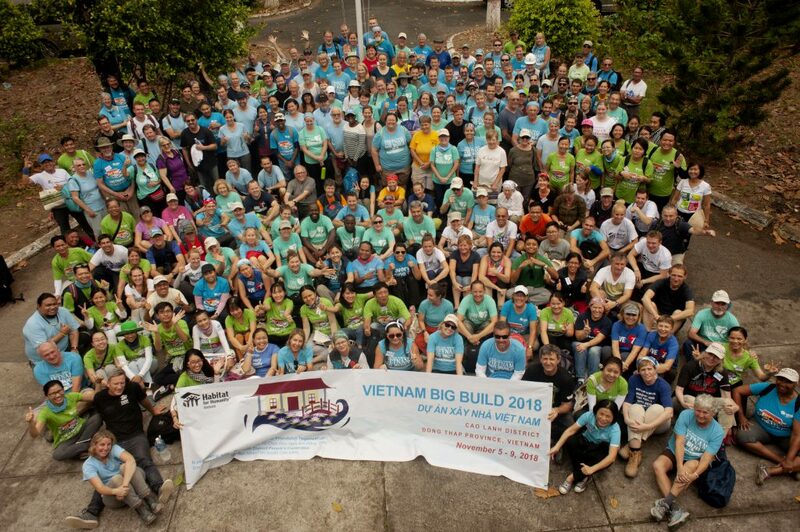 Ho Chi Minh City, 28 January 2015 – Habitat for Humanity Vietnam welcomes 107 volunteers supported by Korean steelmaker POSCO to Tan Thanh district, Ba Ria-Vung Tau province, to build 11 homes for vulnerable families from 28 January to 5 February 2014. 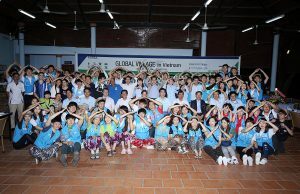 The event kicks off today with a welcome dinner for about 130 people including the local government partners, POSCO representatives, HFH Vietnam staff, local logistical volunteers, and the volunteers who flew from Korea to help families improve their living conditions. 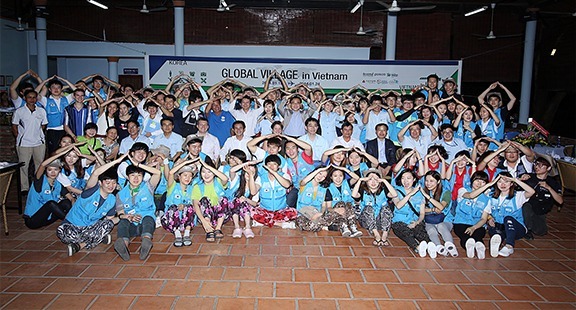 The volunteers will be working at the POSCO Vietnam Village project which was launched in November 2014 after a ground-breaking ceremony. The 18-month project, a partnership between POSCO and HFH Vietnam, aims to help low-income families living in informal settlements by the river or canal to move into decent homes with clean water and safe sanitation facilities. In the first phase from September 2014 to June 2015, 45 families will be helped while the second phase from July 2015 to February 2016 will see another 40 families being assisted. “It is initiatives such as this exciting big build with POSCO Beyond that are so important for Habitat for Humanity’s vision of a world where everyone has a decent place to live. We thank the volunteers for helping to build up and strengthen this beautiful community. 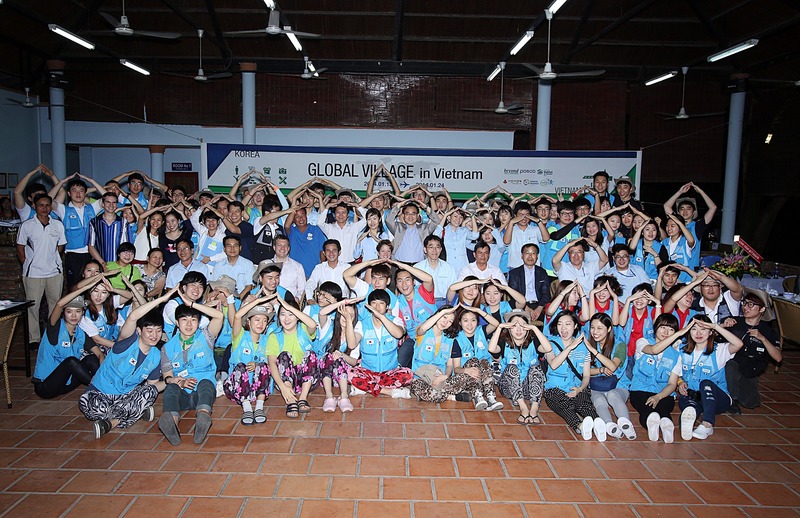 It is through valuable support such as the one of POSCO and the volunteers that makes decent housing a reality for all in Vietnam,” said Kelly Koch, Country Director of Habitat for Humanity Vietnam. 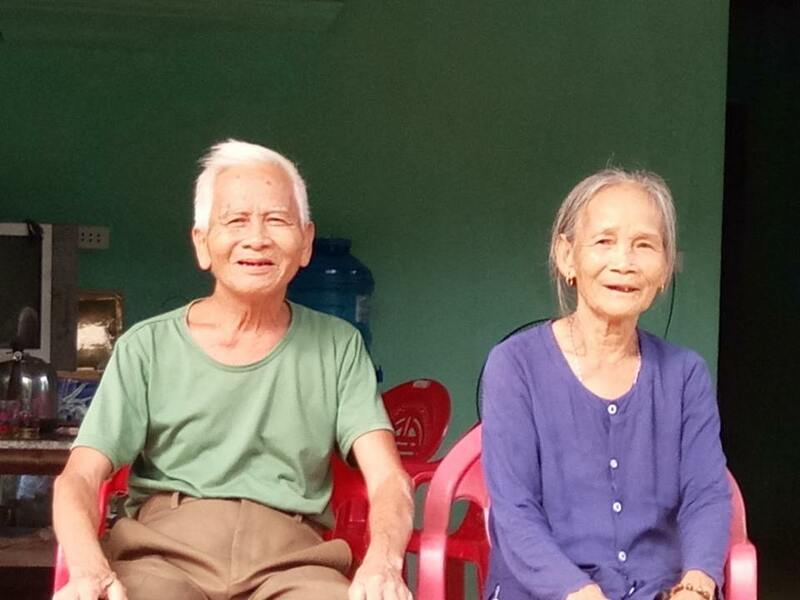 Since 2001, Habitat for Humanity Vietnam has supported 12,490 families to have decent homes and/or or clean water or safe sanitation facilities.